Watford has welcomed some very special visitors – residents of our Russian twin town, Veliky Novgorod. The group met with their hosts, the Watford-Novgorod Friendship Society, as well as Friends of Cassiobury Park and Councillor George Derbyshire. 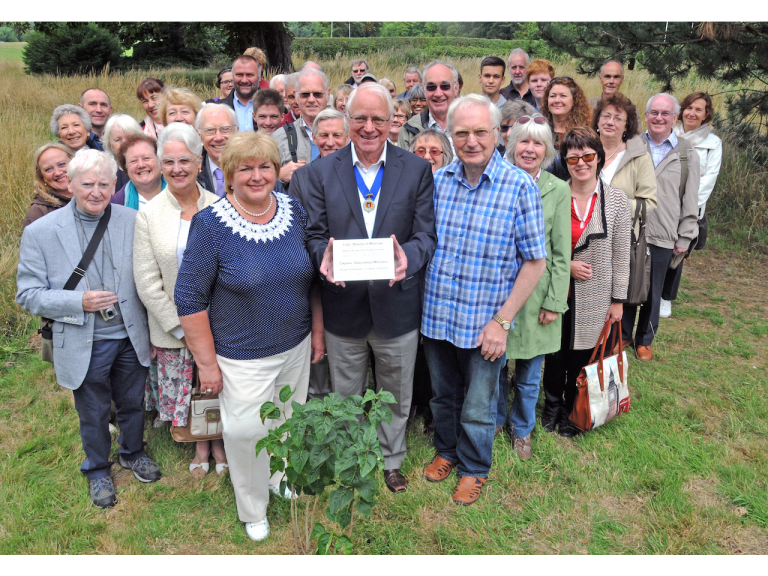 and planted a commemorative lilac bush in Cassiobury Park Orchard. They also visited the Town Hall to listen to a talk about Watford and tour the council chamber, before finishing at Cheslyn Gardens for a buffet and the opportunity to enjoy the stunning scenery. 30 years after the relationship began, friendships between residents of Watford and Veliky Novgorod still remain strong, with regular exchange visits organised by the Watford-Novgorod Friendship Society. The society encourages positive Russian links and holds talks about the twin towns' relationship, as well as Russian life. Barletts – a local tree and consultancy service – very kindly provided the lilac bush free of charge.